This iconic image was originally created in 1917 shortly after the United States entered WWI. Flag portraying Uncle Sam as an authoritative figure, pointing at YOU! This may be one of the most iconic posters of all time. 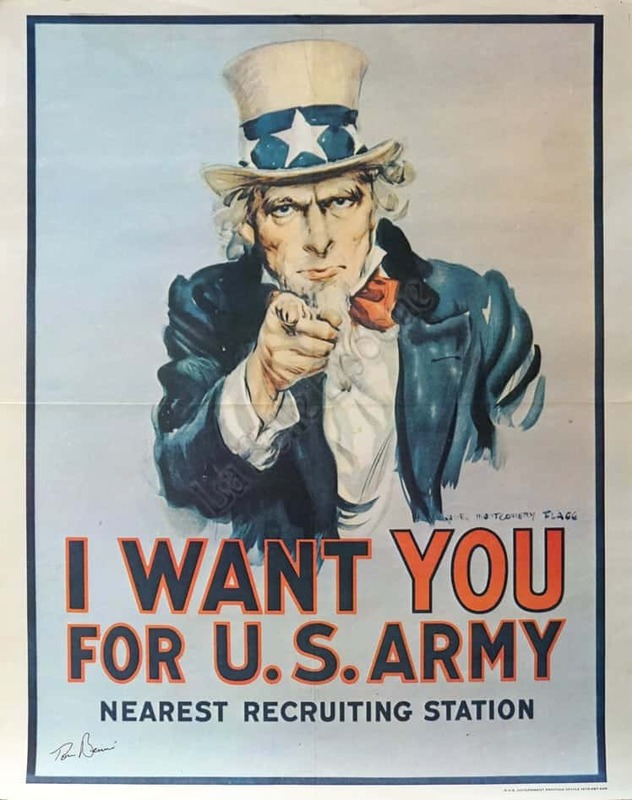 This poster was reproduced multiple times starting in WWI, then WWII, then again in 1975 when the draft was over (at the end of the Vietnam War). This version is from the 1975 group!